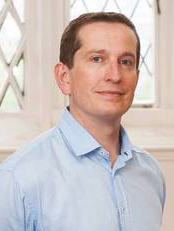 SPERI is delighted to announce the addition to its staff as of today of Dr Andrew Baker, formerly reader in Political Economy at Queen’s University of Belfast. Andrew was already an Honorary Research Fellow of SPERI but has now been appointed Faculty Professorial Fellow in SPERI and the Department of Politics at the University of Sheffield. His interests include the politics of economic ideas and knowledge, the political economy of change following financial and economic crises, the politics of macroeconomic policy and financial governance, financial sector power, alternative forms of financial and monetary organization, NGO campaigning on these issues, and the future of the global financial and monetary system. He is the author of over 40 journal articles and book chapters on various aspects of international and comparative economic governance, and two books – The Group of Seven and Governing Financial Globalization. He is currently working on a project on the political economy of macroprudential regulation, including finishing a book manuscript – Stabilizing the System? New Macroprudential Political Economy in the Twenty First Century.